At WWE TLC, Jinder Mahal & Alicia Fox will battle R-Truth & Carmella in Mixed Match Challenge Season 2 Finals. Mahal & Fox earned their place in the finals with a hard-fought victory over Apollo Crews & Bayley. Despite losing their first three matches in the competition, the dangerous duo has proved resilient throughout, and with the advantage of having The Singh Brothers meddling from ringside, Shanti may indeed prevail. 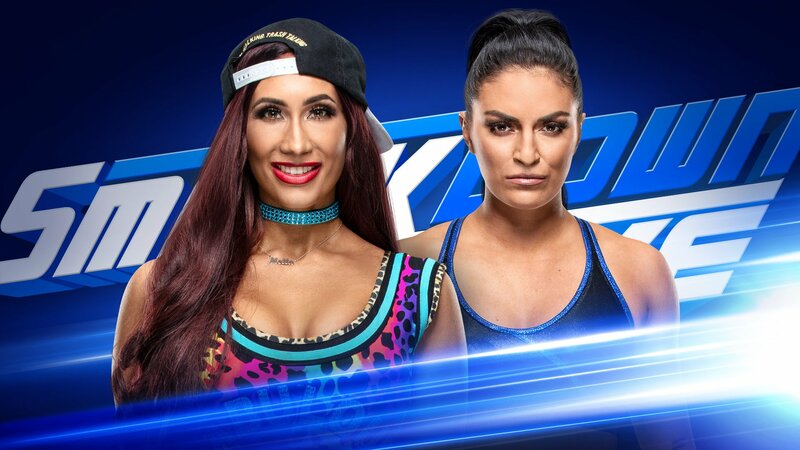 But first, they will have to conquer R-Truth & Carmella, who danced their way into the finals by overcoming The Miz & Asuka, who triumphed in the first season of MMC. Whether you’re a fan of the dance breaks or the easy-going nature of the unlikely combination, it’s hard to argue with their ability to work as a solid unit, and their natural chemistry could prove to be the difference in their final battle. 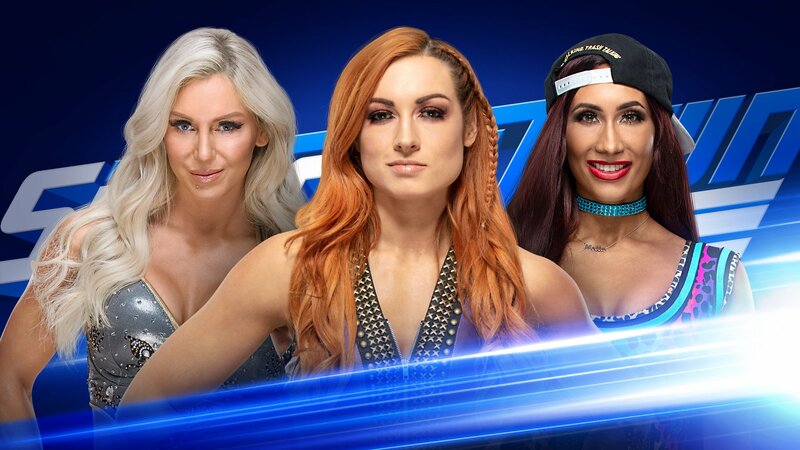 The culmination of WWE MMC’s exciting second season comes at the end of a 14-week round robin event, where the winning tandem will receive the coveted 30th entry in their Royal Rumble Matches in January 2019, giving them a greater opportunity to win the celebrated free-for-all before going on to headline WrestleMania. In addition, they will receive an all-expenses paid vacation to anywhere in the world. Who will triumph in the Finals? Find out this Sunday at WWE TLC! Asuka tells Miz that she has this but Miz wants to start. MIz wants Asuka to tag him in and she refuses. Asuka chops Miz and Miz says that is a tag. Truth comes in and he gets a near fall with a rollup while Miz was not looking. Truth with a side head lock and shoulder tackle. Truth does some dancing and hits a head scissors take down. Truth with punches but Miz with a kick and he sends Truth into the turnbuckles. Truth floats over and he does a split and hits a hip toss. Truth clotheslines Miz over the top rope to the floor. Carmella and Truth call for a DANCE BREAK. Carmella wants Asuka to dance and she obliges on the apron. Miz yells at Asuka and he tells Asuka to keep her head in the game. Truth hip tosses Miz back into the ring and Truth with punches on the turnbuckles. Miz chokes Truth in the ropes and hits a splash to the back for a near fall. Miz with a reverse chin lock. Truth with elbows but MIz takes Truth to the mat by the hair. Miz with a boot to the head and he gets a near fall. Truth with punches to Miz. Truth goes for a belly-to-back suplex but Miz lands on his feet and hits a DDT for a near fall. Miz kicks Truth. Miz kicks Turth in the chest but he misses the round kick when Truth ducks and gets a near fall with a rollup. Miz with a clothesline and he sets for the running drop kicks into the corner and he hits two. Miz goes for a third one but Truth with a clothesline and both men are down. Truth tags Carmella in and Carmella with clotheslines to Asuka followed by a bak heel kick and she sends Asuka into the turnbuckles. Carmella misses a Bronco Busetr and Asuka with a waist lock. Asuka with a pop up knee and a sliding kick for a near fall. Asuka with knees but Carmella with a jaw breaker. Miz tags in and Truth punches Miz . Truth with a flying corkscrew forearm for a near fall. Carmella sends Asuka into the turnbuckles and Carmella sets for a super kick on Miz but Miz pulls Asuka into the way. Miz with a rollup for a near fall. Carmella with a super kick to Miz followed by an Axe Kick for a near fall. Asuka sends Carmella to the floor. Miz drops down and Truth goes over the top rope to the floor. Asuka and Miz yell at each other and Asuka blames Miz for the super kick. Asuka wants to kill Miz and Miz does not want to die. Asuka with strikes and a back heel kick and a round kick. Asuka leaves the ring and Truth with an Unprettier for the three count. After the match, we see Becky Lynch and Charlotte Flair at ringside and they are not happy.